economic crisis, witness the disinfo drama unfolding in the media. 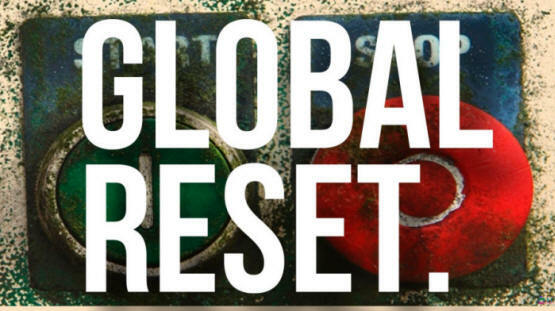 The article at Global Currency Reset is Imminent is MUST READING to grasp the depth of global change dynamics that have been suppressed by Western corporate media cartels. A new “Net reality” (social conscience) is surging in our new instant-everywhere-interactive Internet social networks. 4+ billions global Netizens are yearning to breathe free from depressed economies suffering suppression, desecration and devolution of universal RIGHTS- in the global SPHERE- . A new global reserve currency standard for East∞West CO-OPERATION- has been prepared for rapid deployment. INTEGRATION- of this whole system for global upgrade has been ordained for this time. We shape our Net reality infrastructure and then the worldwide web shapes us. Hundreds of trillions of dollars are being allocated for funding the shift of global resources to an economics of abundance, liberating suppressed technologies and uplifting depressed consciousness by empowering wisdom with , the Constitution of Conscience at the heart of global ethics; a "cosmic honor code" (golden rule) as the foundational principle for rewarding humanity with clean ‘free energy’, global holistic healing resources, and a meritocracy model of representative government, transcending the horse-and-buggy model of middle-man reps, providing a space age system of direct interactive representation with Web 3.0 Heartware CyberEthics. The next phase of the computer/Internet revolution will involve and evolve our individual and collective Conscience with a real-time interactive ethical standard of, by and for mass-to-mass TeLeComm. That's the 'Good Cop' behind the scenes. perks of power, prestige and profit. and that struggle is reaching a climax. Fearless faith always champions truth and love in the face of cherished illusions, willful ignorance and outright evil. Evil is 'life' spelled backwards; it is anti-life, anti-light and anti-love. E-veil is the energy veil of lower frequencies of 'FUD' (Fear, Uncertainty & Doubt) that separates us from the fullness of life as is wholly alive with the frequency of the holy spirit of truth and love-in-action... as in frequently. culturing ethical Conscience in social networks. It takes courage to seize the vision, embrace the virtue and claim the victory over “DUH” (Dense, Unconscious & Heartless) that is “Stuck In Negativity” (SIN). So take heart. Vow with valor. Champion more light! The psychopathic ‘soulless ones’ and ‘living dead’ want everyone as miserable, fearful and angry as they are. Their terror-for-tyranny tactics have created and managed endless war, disease and desecration of the environment for their profit. Those policies are bankrupt morally and have debased the currency of conscience. The 2nd Coming of the American Revolution has arrived, but now it's a global affair. It's time for freedom lovers, cultural creatives and light-workers to wake up, wise up and rise up to champion an upgrade of core Constitutional freedoms at the heart of mass-to-mass TeLeComm. Those who resonate with lower frequencies of FUD and DUH will cut themselves off from light and love. You can't have fearless faith and faithless fear at the same time! Only ordained Power in Love neutralizes inordinate love of power. Heaven knows, global humanity has the power to begin the world over again. The Aquarian Dispensation of Freedom-in-Love goes mainstream when enough good people do enough to make it so! The World Crisis Wants a Holistic Solution. The higher the concept of universal-cosmic love – in form and frequency – the greater the result on Earth as in Cosmos. Once the heart of Effective Sensory Perception is holistically engaged with Heartware to serve all of "US" (United Sovereigns of Earth), we will naturally neutralize the negative narcissism of power elite potentates who are ethical infants. Heart coherence cultures mind congruence holistically, and the vision alone - how that works - can be the catalyst for a self-fulfilling prophecy in the holodeck between your ears as well as within any social network via Heartware; same 'light language'. The Internet 'genie' is not going back in the bottle. And a frequency shift in the quantum field is morphing the matrix from the inside out. As thus, a higher perception of 'truth' is stepping through the veil of 3-D density with the QUICKENING of 4-5D knowing. Spiritual warriors of the "Sacred WORD" (SWORD) are cutting us free from the hypnotic trance of victim dictum. A critical mass of 'Net reality' has been uprising with conscientious common sense. Self-elevation as 'salvation' is not a mystery when known. Being awakened to only the systemic problem of evil influences in the world is half-witted, magnifying the problems and feeding faithless fears. To focus on the solution is enlightened self interest that compels fearless faith in a clear vision of self-correcting, self-healing tools and processes for self-directed sovereignty - to own our own lives with systemic solutions of, by and for self-determination. - inear, ocal, eft-brain etter of the ogos- aw; universal 'RIGHTS' of personal and planetary sovereignty; the 'Law of the Angles of G.O.D.' (Geometric Ordered Divinity); the divine 'Father' principle as 'lawgiver'. - Nonlinear, well-rounded 'Spirit of the Law' in the public SPHERE - the right-brain intuitive knowing that resonates with the golden ratio coherence standard in the fractal fabric of the holographic universe; the 'Language of the Angels of LOVE' as our better nature; the divine 'Mother' principle as 'lovemaker'. - Co-Creation of ' ' and ' ' in 'The Creation' of left and right hemispheres of the brain as corresponds to left-brain dominant Western civilization that reads symbols of symbols (letters and words) from left-to-right... and conversely in right-brain dominant Eastern civilization which reads calligraphy on a page from right-to-left... the global holodeck 'mind field' corresponding to the holodeck between our ears. - Integration of ' ', ' ' and ' ' in the ' ' as the archetype of 'wholEness' from upper to lower brain, left brain to right brain, and fore-brain 'foresight' to rear-brain 'hindsight'. This 'cosmic cube' (3-D) integrates the source code of the holodeck for 'real time' (4-D) coherence and 5-D congruence in the metaphysical "plan" (top-down) of the pyramid of Self and Civilization; the CAPstone as the 'Creative Ascent Process'. If you've read this far, you must be wondering HOW we will do that. That's why I began writing this piece. So I'll leave you with a big clue that is coded with holographic archetypes of universal law language. is the heart of it. 'TLC' is practical expression of it. Global TeLeComm resets net reality in the media-medical-market matrix on the one hand. And Global TeLeCare nurtures wholEness and healing for all on the other hand. link the light, and make it so! via Global TeLeComm for mankind.